← Your Book Cover: What Is the Symbolism? Meet author Tameka Fryer Brown. She has a new children’s picture book out and I want to share her writing experiences with you. 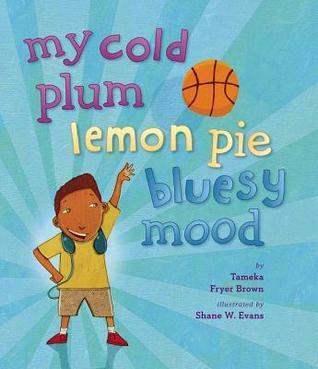 She is proud to present her latest book for children titled “My Cold Plum Lemon Pie Bluesy Mood” and the colorful illustrations were created by Shane W. Evans. This delightful books rhythmic tones will have young readers bouncing along the pages with its main character Jamie. Read my review after her interview! TNW: Your first book, Around Our Way On Neighbors’ Day came out in 2010. Your new book, My Cold Plum Lemon Pie, Bluesy Mood, will come out in March of this year. How long have you been writing? TFB: Besides the standard answer (“all my life”), I usually count when I joined SCBWI as the start of my “writing” career. That was in November of 2005, so about seven and a half years. TNW: As a mom, I am sure your children played a role in the genre you selected, but what else drives and motivates your writing? TFB: Childhood in general is something that motivates my literary creativity: my kids’, other people’s, and especially my own. I think we need to pay more attention to the social, educational, and moral needs of our children, and literature can play a great role in influencing each of those areas. I’m also inspired by my late grandmother. In some form or fashion, she shows up in many of my stories. TNW: Who are some of your favorite authors? TFB: As far as picture book authors, I love Jacqueline Woodson, Kevin Henkes, and Joyce Carol Thomas—just to name a few. Some writers for older children that I admire are Christopher Paul Curtis, Sharon Creech and Lisa Yee. TNW: Your illustrations are colorful and fun. What was your experience like working with your illustrator? TFB: You know, I really didn’t have any interaction with them as they were working on my books, but I think I lucked out with two great illustrators. My editors for both books did share with me sketches and finished artwork along the way. I remember being absolutely blown away by Shane Evans’ sketches for my latest book, MY COLD PLUM LEMON PIE BLUESY MOOD. I knew he was an awesome artist—he won the CSK Award for illustration in 2012—but even his sketches made my soul sing! His finished artwork is even more amazing. TNW: The publishing world has changed drastically in the last few years. What advice do you have for new writers? TFB: Hone your craft to the point of being better than good. Excellence is the goal. Open your heart and mind to constructive criticism. Strive to grow thicker and thicker skin. Write what YOU love, then expand the breadth of what you love. Some of those stories may not be marketable now, but the more topics and genres you write, the greater your odds of striking publishable oil. And—as long as you still really want publication—don’t give up. During the down periods, self-reflect; if you decide publication is still something that’s important to you, re-group and press on! TNW: Where do you feel your writing will take you in the next 5 years? TFB: I’d like to add novels to my writing portfolio, stating with middle grades. Thanks so much for sharing your story with us. 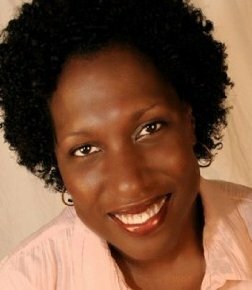 If you would like to learn more about Tameka please visit her site at http://www.tamekafryerbrown.com. Feel free to visit her at my other site Kristi’s Book Nook for a chance to win a copy of her book. Check out the blog tour at these other wonderful sites! A fun book for kids! What if you could turn the way you are feeling into colors? What colors would you choose? How about purple for when you’re happy, orange for when you feel sporty and brown for when you are ready to stand your ground. Jamie loves to color, listen to music and hang out with his friends. But, he also has to deal with teasing brothers. When Jamie listens to music he bobs to the beat. This puts him in a purple kind of mood. When his younger sister asks him to draw her a dragon, this puts him in an easy green mood. When Jamie runs late because he was out with his friends, this puts him in a red mood. Red! Run! Gotta get home! Fire-engine-roaring-down-the-street-hot-flames-shooting-from-my-feet-don’t-stop-to-take-a-breath-till-I-make-it-through-the-door-RED! Whew! When Jamie battles his brothers his moody colors change from gray, to black and then brown because he won’t back down. Jamie has lots of colors for all of his moods, but the best one of all comes at the end of the story. Brown has created a rhythmic bounce of colorful words. Vivid and fun illustrations bring young readers into the world of the character and how color affects his moods. The beat of the rhyme invites readers to feel the colorful moods shared by the main character. Parents and teachers can use this story to teach young readers about their feelings in a way they can relate to. This is a great book to get boys jumping into books.